What does the ideal productive individual look like to you? Is it someone who can churn out five times more work in a year than his peers. Be it books written, apps developed, widgets created, does this mythical producer run circles around the competition? Or perhaps it’s someone who has achieved significantly more at a younger age than people decades older. Maybe it’s the tech whiz kids and ultra-creative twentysomethings who have a net worth valued in seven digits. 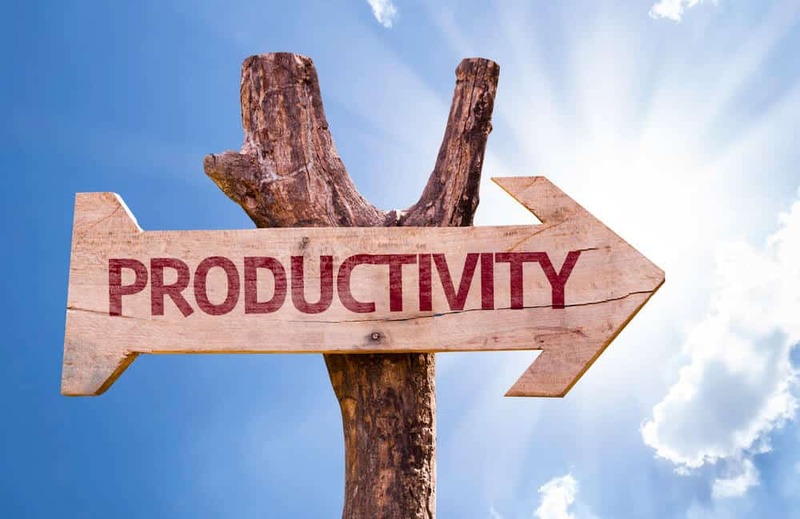 Whatever your vision of the ideal producer, you are probably thinking: more work equals more productivity. And while this train of thought isn’t entirely wrong – after all, you do have to produce something in order to be considered productive – it’s not the whole equation. There are certainly plenty of people who work 80 hours a week and don’t see the same level of productivity of those who work maybe half the hours. So what’s the magic formula that makes productive people, well, productive? If you’ve ever studied the science and psychology behind productivity, you’re probably familiar with the concept of peak productivity. Peak productivity is a state of intense focus that leads to increased output. There are many factors that contribute to one’s ability to achieve peak productivity in a day or even multiple times a month. In fact, peak productivity can be so elusive that some people never really attain this level of production. So why are some people able to produce circles around everyone else? Biology, organization, and focus play integral roles in helping one achieve peak productivity – or not. And while some individuals may seem to be wired for productivity and others not, it’s indeed possible for anyone to attain peak productivity if they can hack certain parts of their personality and work situation to promote increased focus. If you were to take a day to hone in on your energy levels and mental clarity at different points in time throughout that day, you’d certainly notice that you’re more prone to be productive and alert at some points and tired or barely getting by at other points. While your quality of sleep the night before, the types of food that you eat throughout the day, and your espresso addiction definitely do come into play to help determine your levels of energy at different periods, your internal – or circadian – clock runs the show day in and day out. Many studies have been done to help people understand how and when they’re productive. The results? Mornings are overwhelmingly the most productive period of time across the board. And while there may be some dispute or variation on what hours are the best for harnessing productivity and focus, you can pretty much bet that sometime between 6AM and noon you’re going to be most primed to experience peak productivity. Afternoons are notoriously challenging for sparking productivity and focus, because your circadian rhythm is simply wired to deliver a dip in energy and motivation during these hours. However, once the dreaded afternoon slump passes, there is another period of productivity that peaks around 6PM. To best utilize your natural inclination toward productivity, you need to maximize your mornings. For many, this means waking up early and getting a head start on the day. There are many who recoil at the very idea of getting up early and would rather do just about anything else. But unless you’re a true night owl and are absurdly productive between the hours of 10PM and 2AM, consider setting your alarm for an hours that makes you tear up a little the night before. When your alarm goes off, don’t snooze it – that leads to massive confusion for your sleep cycle and will actually make you much more tired. Instead, get out of bed and engage in some solitary activity to help you get in a clear mindset for tackling the day. Go for a run or grab a cup of coffee and listen to a podcast while you get ready. Whatever you do, avoid checking your email or browsing social media first thing in the morning. Often, engaging in online communication first thing in the morning will make you more stressed out and less likely to be productive later on. Whether you’re headed to a corner office or work from home, capturing the first hours of your workday will dramatically improve your propensity to achieve peak productivity at some point during your day. Since the morning focus high doesn’t wear off until around noon, you can accomplish the bulk of your day’s productivity in those first few hours at work. Seclude yourself, if possible, and block out distractions that’ll draw you away from the project at hand. Keep in mind your electronic distractions, as well. Set up an auto-reply on your email and stick your phone in the desk drawer if the attraction of checking in periodically is too much for you to handle. While multitasking may seem like the way to get things done, research indicates that it definitely is not. To achieve peak productivity, you’re definitely going to want to focus on a single activity at a time in order to keep yourself on track. As you fade out of your peak focus time, you will probably slip into some of your natural tendencies to browse cat memes or plot out your grocery shopping list for the next week. And while your boss might not appreciate you wasting time puttering around the internet, there are ways you can use your procrastination to your advantage. Check out your inbox and address all of those emails that you neglected earlier in the day, when you were focusing on your peak productivity period. Or if you can take a break and catch up on industry news or plot out some challenge you’ve been scheming about, do one of those things. Even though productivity dips in the afternoon, creativity does not. In fact, creativity is actually more likely to be much higher than at other periods, when you have the ability to focus better. So sit down and sketch or work on a particularly vexing part of your story’s plot line. Whatever activity you need to do ahead of time to help you focus better later on in the day or week can usually be accomplished during your procrastination period, and will contribute to your productivity another time. Most things we need to be productive for require some periods of non-productive time where we generate ideas or can flirt with a daydream that might have some grain of usefulness to a problem we’re trying to solve. Even if you’ve got your schedule down and have isolated your periods of focus as times for you to work hard until you simply cannot, you’ll have a difficult time ever getting into this flow if you’re hungry or your desk is a disaster. And again, while it’s possible for some individuals to thrive in “organized chaos”, for the majority of people this state is simply a mess that needs to be cleaned up in order for real work to get done. Many people shy away from the idea of having to clean and organize everything, especially if there’s always something more pressing to accomplish. But if you’re sifting through the same pile of papers 20 times a day in order to get the information that you need to fulfill a client order or write an important paper, you’re wasting precious time that you could be dedicating to the task at hand. Constantly having to shuffle things around a disorganized desk or office is a type of multitasking that erodes your ability to truly embrace peak productivity. Start by tidying things up during your procrastination time one day, even if you only get a small corner clean. If you use some of your down time to perform necessary cleaning and organization, then you’ll soon have a clean work area that’s much more conducive to getting stuff done. Part of your overall productivity profile is the ability to move on from accomplishing the things you’re doing now to accomplishing more on a consistent basis. The things you’re currently doing can probably done more efficiently, and with improved productivity, you have the opportunity to cross your daily to-dos off of your list much earlier in the day. So what do you do with an open schedule? Start penciling more things in, of course! Sometimes passion projects or assignments that you never imagined you’d have the time for can fit into the newly created time slots that used to occupy every spare hour in your schedule. What are you waiting for? Achieving peak productivity is in reach for anyone who wants to master their schedule and workday. Don’t work harder, work smarter; and soon you’ll have everyone wondering just how you accomplish so much!